representative by e-mail (animal@brc.riken.jp) or fax (+81-29-836-9010). If you have a mouse strain to deposit, please examine and agree to the Material Transfer Agreement (MTA) for Deposition (Form A). 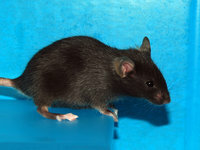 You are also requested to complete the Data Sheet, which serves as detailed documentation of your mouse strain. contain sufficient detail on the strain, including coat color, genotypes, a genotyping protocol and a recent health status report. Depositors may request specific terms and conditions associated with use of the Biological Resource. As a public biological resource bank, the RIKEN BRC requests that Depositors deposit their strains with minimum restrictions. Restrictions calling for collaborative research requiring the co-authorship of the Depositors are limited to maximum of two years. Upon receiving the MTA and Data Sheet, the RIKEN BRC will contact you to arrange transportation of the mice. The cost of shipping will be covered by the RIKEN BRC. your deposition is complete. 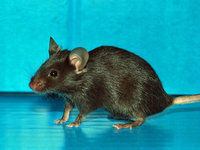 Your mouse strain will be on our website, and readily available to the scientific community on request. Depositors will be assigned a credit that can be used to order mouse strains from the RIKEN BRC.